We've all done it, battery drill/driver, too fast, too carelessly and BBBbbbbrrrrrrr! An interestingly countersunk drill head. Possibly an egg-sucking exercise, I hope this tip might save you some time and frustration. If it is in a prominent position, align the cut with the grain and repar wiith suitable filler, I find the same woods sawdust and PVA does nicely. Best not to use screws. Drill bigger pilot holes if you do. Set the torque low on the drill. New bit helps, they don't last forever. I have used Doug's trick a few times myself; it works a treat in most cases. I was recently rebuilding an old student notebook at school (actually making one good one out of two), but one of the screws holding the motherboard stripped. Unfortunately, it was also in a deep recess, so this method was out of the question because I needed to preserve the casing in good condition (the other notebook had a damaged casing but a good motherboard - it would not have mattered if this had occurred in that one!). If it really is that important then gluing in a sacrificial Pozidrive bit with two part epoxy can help. It may well come off with a bit of BF&I (brute force and ignorance)! In situations with more lightly loaded small screws used in non structural situations, I use a layer of thin rubber, such as an elastic band over the damaged screw head, to enable applied pressure from the driver head to be distributed to the screw. It usually works a treat. 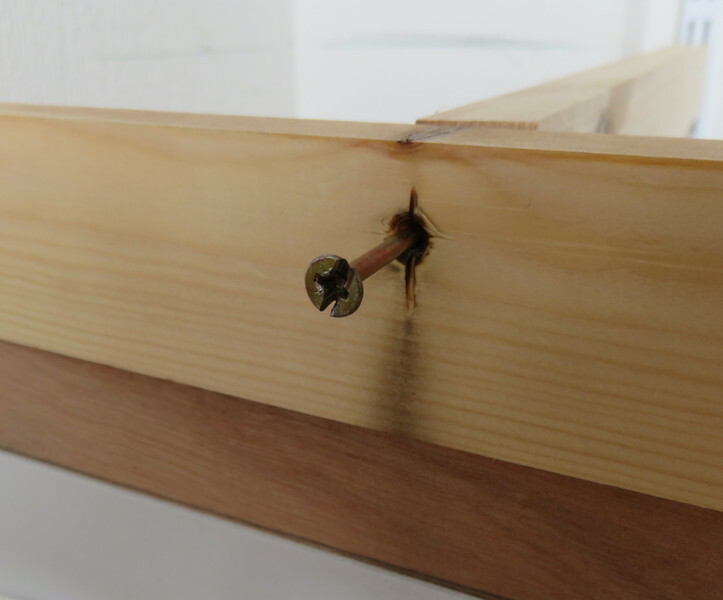 Cutting a slot also works with hexagon socket head screws (allen screws) when they have been damaged. The hand impact driver on screws that have been in place for a long time internal and external ones. Get a good posi screwdriver with good solid handle on it place blade into head hold it there then with a hammer bang the end of the screwdriver handle whilst applying anti clockwise pressure to the screwdriver. That actually in most cases work better than using a power impact driver i know as i have to do it quite often. The Dremel slot is a useful tip Doug. Yes Peter but it depends on the situation. Must have the right size (Murphy had something to say about that) then it must "bite" into the screw to be removed. Have found them excellent at times but on smaller hard drive screws not so good. So, on balance Andrew, do you think they're worth buying ? if it's sticking out as much as that picture I tend to put a set of mole grips on and unwind it.. But yes dremeling if it's all the way in..